Today’s lesson comes from the book The Children of Hurin. This book was released in 2007 which contains a quite immaculate re composition and expansion on the story of Hurin. The story is originally found in The Silmarillion but with all the additional work available / left behind to Tolkien’s son Christoper it was only a matter of time before we got the “expanded” story. I absolutely loved this book. The story of Turin (son o Hurin) is a sad, brave, complex story. As for the quite, it was spoken by Sador. Sador was a “house-man in the service of Húrin” who had been a woodman and somehow had accidentally severed his right foot off. The remaining part of his leg had shrunken from lack of use. Sador was wise and shared with young Túrin many insights about the nature of Men, Orcs and fate. Túrin of course is one complex and extremely interesting character, and as mentioned above has an entire book dedicated to his life and all his sorrows. 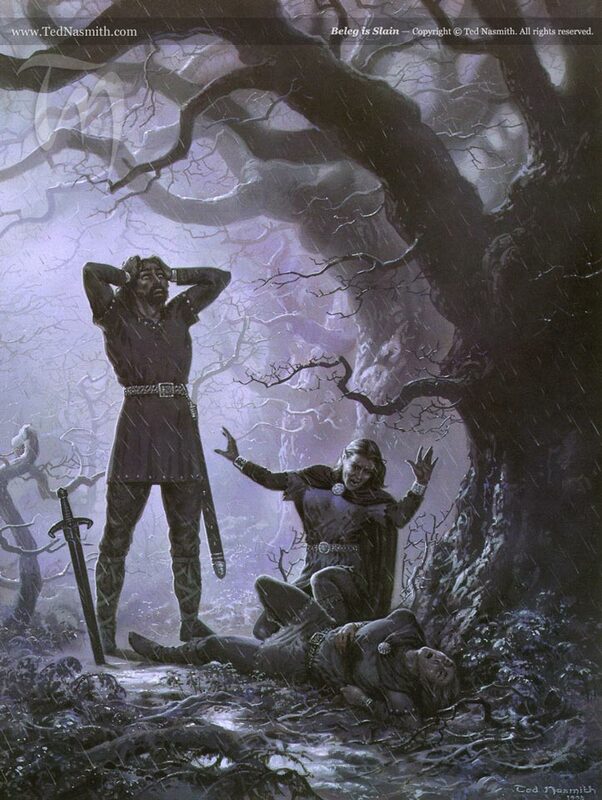 Túrin ended up not abiding to the wise words of Sador and had he not run from fear one of the saddest events in the entire Silmarillion may not have happened: The death of Beleg. But, let not this deter you from who Túrin was, he was indeed more brave, and more fear-facing than few other humans that lived in that age. He is still considered as one of the most feared humans to have walked middle earth. With Gorthol, the “Dread Helm” and the black sword Anglachel he was a force to be reckoned with. What do you do with your fear? What do you fear? If you know then is it worth facing? 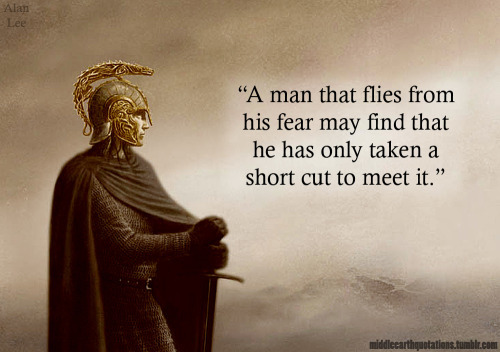 Tolkien argued that one is only delaying the confrontation with fear itself if one runs from it. I agree. Step 1: Identify your fear(s). Is it something specific? A confrontation with someone, a conversation that needs to be had. Is it a specific thing like heights, or the dark? Something more psychological like failing, falling, or embarrassment? Is it not making a difference? Take the time to identify it, and become aware of it. Step 2: Plan a way forward. Now that you are aware of your fear you are already busy dealing with it, even if so subconsciously. Already knowing what you fear is preparing you for facing it whether you are actually going to face it or not. But, taking some pro-active steps towards dealing with your fear can only help. I encourage you to read the story of Túrin. Tolkien truly wrote some of the best tales with so much emotion, detail, beauty and sadness in it. Túrin was extremely courageous and daringly faced his fears. He saw and accomplished so many things, most notably was when he faced Glaurung. But Túrin also made many mistakes, some which lead to such utter sadness that he simply could not face life any more and took his own life. Túrin set out to kill the dragon. With his black sword he killed Glaurung but was hurt and fell in a swoon. 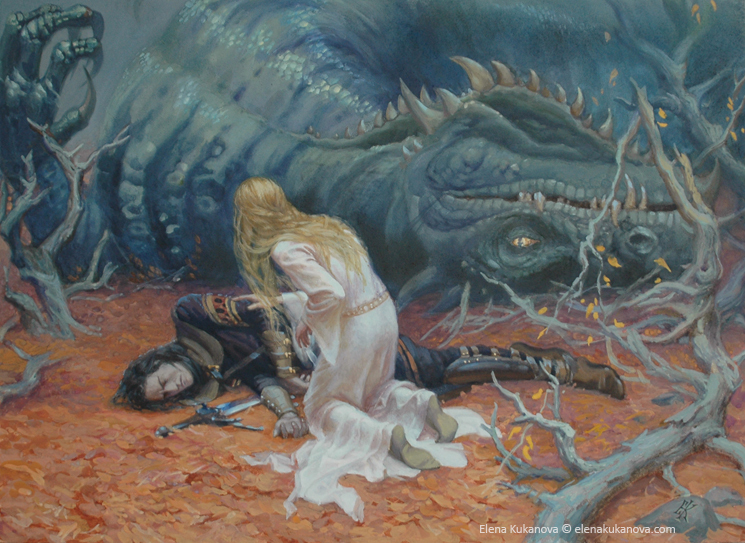 As his Wife Níniel came to search for him, Glaurung with his last words revealed to her she was Túrin’s sister. Horrified, Nienor Níniel killed herself. Túrin was buried near Finduilas’ grave, and on his tombstone the Haladin wrote in the Cirth of Doriath:Túrin, Conqueror of Fate, Slayer of Glaurung and beneath that they also wrote:Nienor Niniel.